I’ve always wanted to have a real need for a cozy and I giggle every time I see cozies for objects that don’t really need one (i.e. the chapstick cozy). I just love them. Seeing an inanimate object all bundled up for winter makes me smile, but I rarely work on projects for myself that I don’t absolutely need. 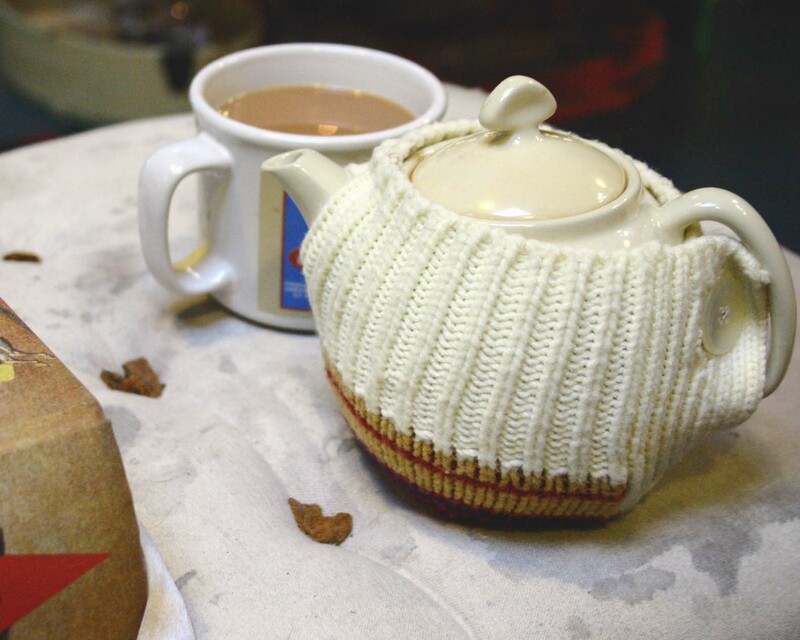 Finally this winter, I discovered that I actually really needed a teapot cozy to keep my second cup of tea warm! Here’s how I did it (in 20 minutes) for free. Make one today! 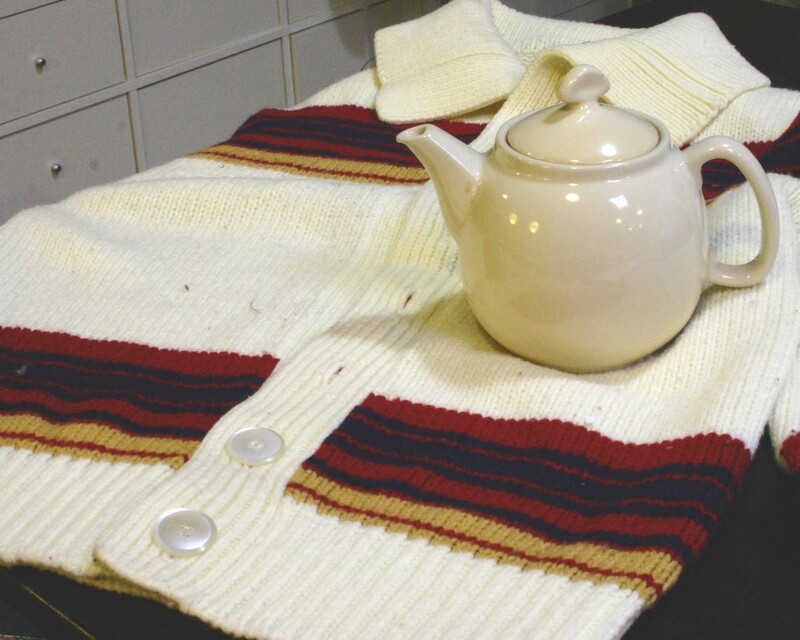 Start with an old button up cardigan and your teapot. 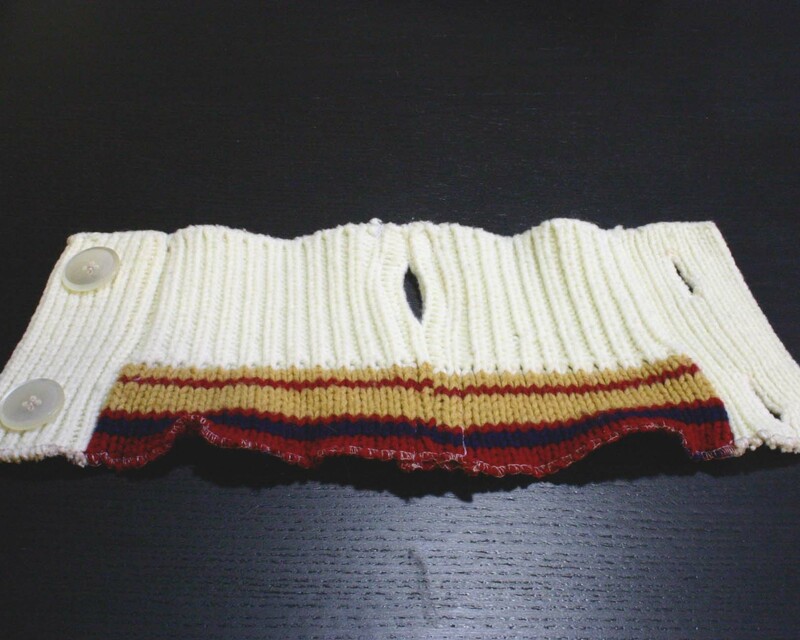 Using the bottom of the cardigan, button once under the handle and once beneath it. 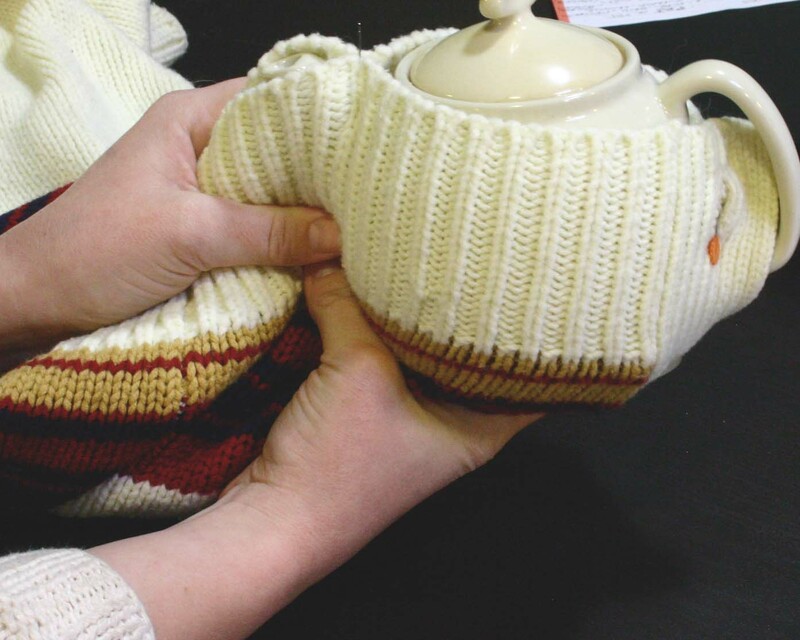 Pull the sweater tightly around the teapot and pin once above the spout. 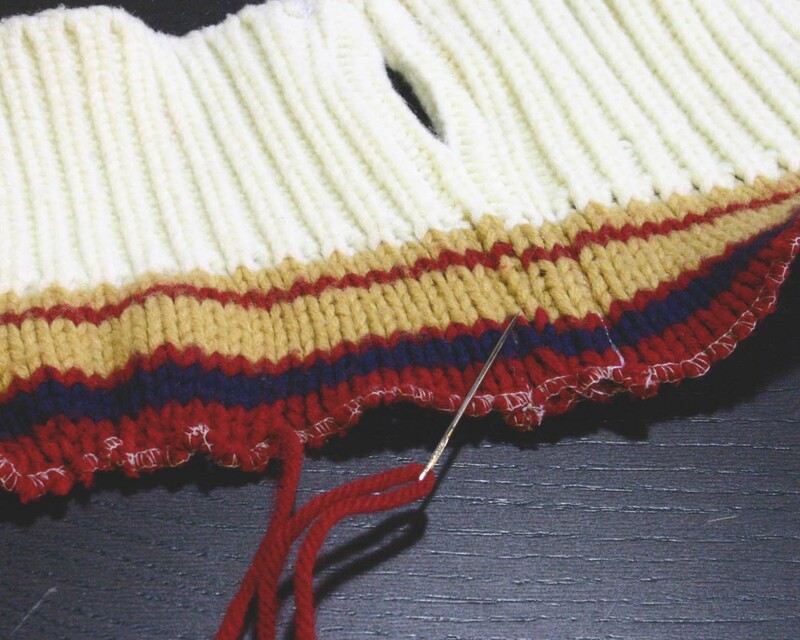 Giving yourself a little seam allowance and starting at your pin, cut the excess fabric by following one of the grooves in the sweater. You won't need any seam allowance along the bottom, so cut only enough to cover the height of the pot. You should end up with two equal rectangles. Overlock any unfinished edges and then sew your two rectangles together, leaving an opening for the teapot spout. Topstitch your seam allowances if you want- it gives it a cleaner finish but doesn't really matter otherwise! This is the front side of the cozy. Both rectangles have been serged and sewn together. The bottom is a little wavy from the cutting and serging, but we will fix that soon! Using a similar color yarn as your sweater, sew a straight gathering stitch at the bottom of your cozy and pull just tight enough that it fits snuggly around the bottom of your pot. Tie off after you've checked the fit on your teapot. All done! Button it on! You are brilliant. This is the cutest!